Eric Clapton Wears a What?! Rock and blues master, Eric Clapton, is undoubtedly one of the most influential guitarists of all time. He is the only individual to have been inducted into the Rock and Roll Hall of Fame three times, and has also received eighteen Grammys. 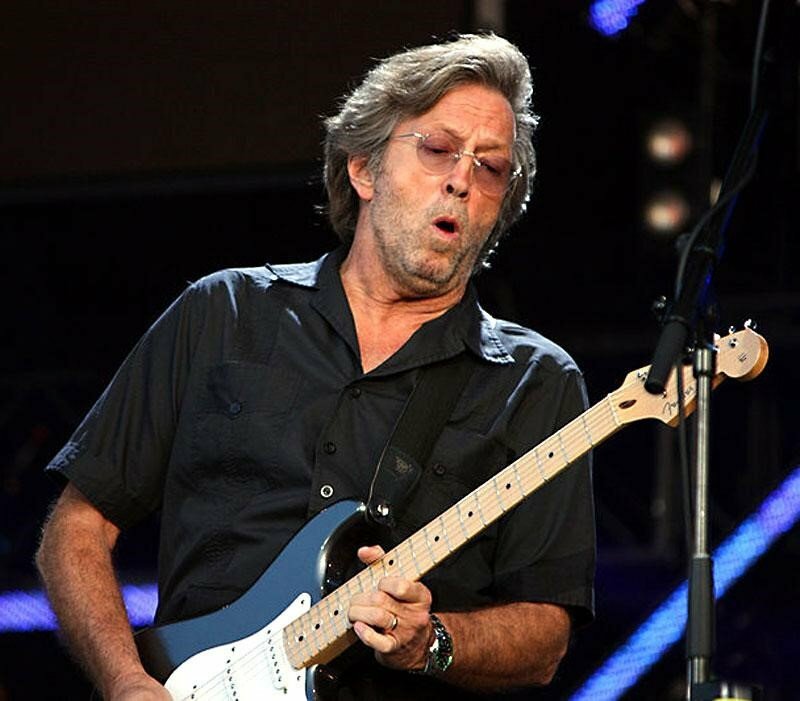 Apart from Clapton’s extensive guitar collection, he is also quite the watch collector. 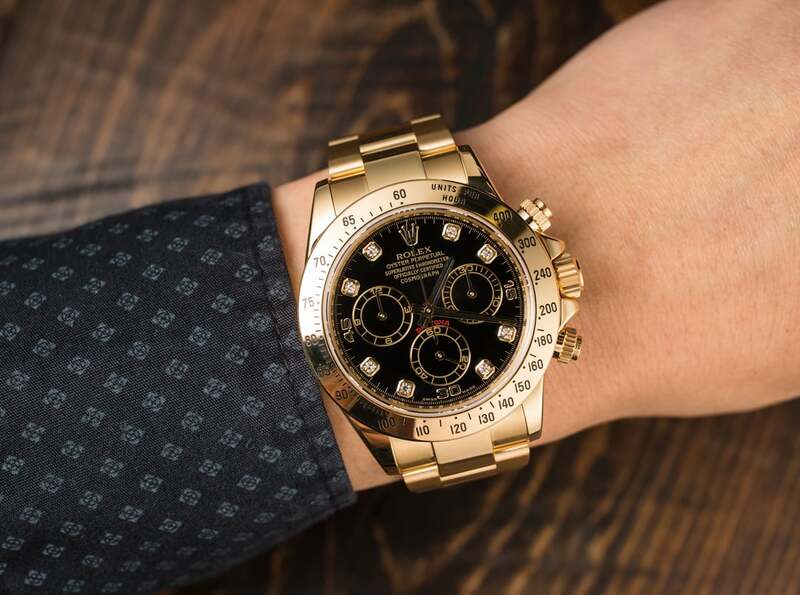 Let’s take a look at his collection and highlight a few of our favorite watches. 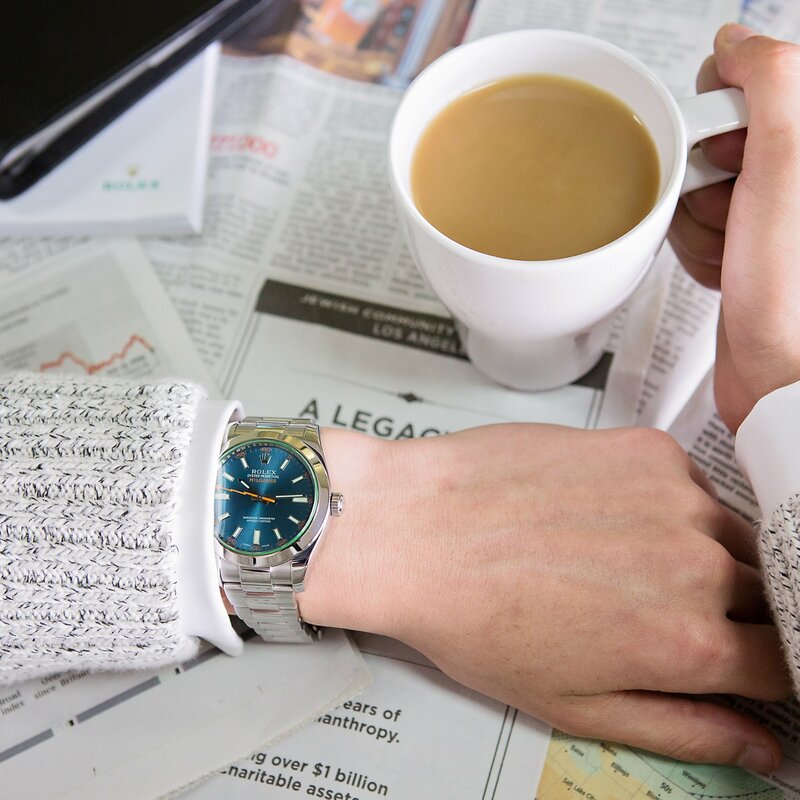 Here is a closer look at what his mornings probably look like, and no that is not his wrist. The Rolex Milgauss 116400GV features a black dial, with white and orange luminescent hour markers. The most iconic feature of the Milgauss is, of course, the classic orange lightning bolt second hand. Orange minute markers encircle the outer rim, creating a harmonious repetition of color throughout the dial. This newer model also comes with a green anniversary crystal, also known as Glace Verte, meaning ‘green glass’ in French. The ‘Mil’ in Milgauss, also has other linguistic origins. ‘Mille’ in Latin, means one thousand, which reflects the Milgauss’ ability to withstand magnetic fields up to one thousand gauss. This model was originally created for scientists and people who work in power plants, medical facilities, or research labs. While Clapton will likely never have to worry about being exposed to that level of magnetism, the Milgauss looks great, and has clean lines that will never go out of style. The GMT-Master 116710 is a tool watch. Aside from its multipurpose functions, Eric Clapton rocks out while wearing the GMT-Master. The scratch-resistant sapphire crystal and the black ceramic bezel is the perfect match for a guitarist who is constantly on the move and rocking out. This tool watch is also great for someone who travels a lot for gigs, as it tracks up to three time zones when the GMT bezel is used in conjunction with the GMT hand. 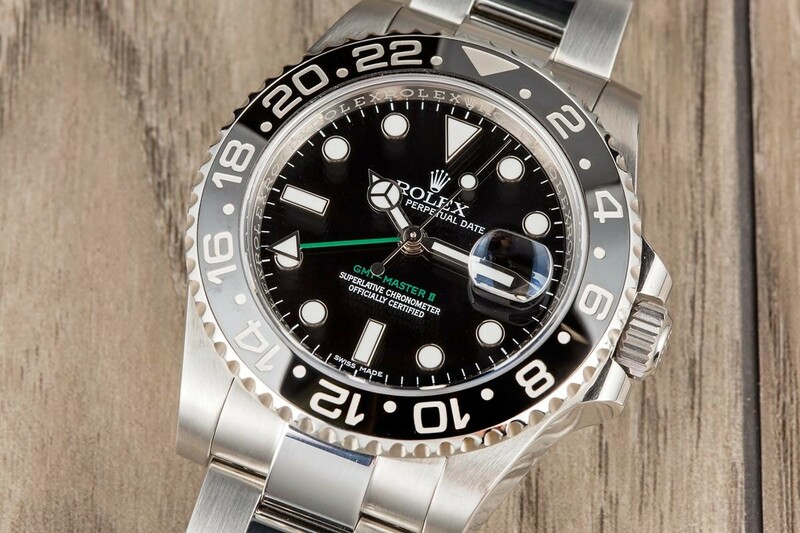 The Rolex GMT-Master 116710 is another classic stainless steel beauty that we love. The Daytona 116528 is another tool watch that Eric Clapton has. Clapton has made the Daytona 116528 his own by replacing the standard yellow gold oyster bracelet with a black Oysterflex band. The black strap contrasts nicely with the 18 karat yellow gold case, and the dial ties back in the black nicely. The repetition of black and gold harmonizes tastefully, just like Clapton’s music. We can’t wait to see what Clapton will add to his collection next.